US Federal Reserve chair Jerome Powell said the pace of US interest rate rises would remain “gradual” but acknowledged the US economy had strengthened. Global equities sold off sharply during the first week of February with the Dow registered two days of declines in excess of 1,000 points. US equities rallied after touching lows on the 8th February 2018. RBS reported £752m profit missing forecasts but net interest margin fell 5 basis points to 2.13%. RBS shares declined 20p in response. IAG reported EPS of 95.8 cents up 3% and promised to buyback €500m of its shares during 2018. IAG nevertheless fell 5%. 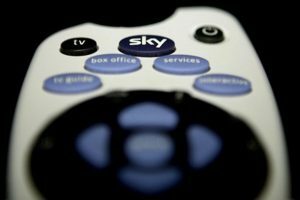 Comcast gatecrashed the Sky/ Fox/ Disney deal offering 1250p cash for Sky. The Murdoch family has yet to formally respond. Toys R Us went into administration following a VAT demand for £15m which the company could not meet. The administration will leave the Pension Protection Fund with £37m of new liabilities. Provident Financial is undertaking a 17 for 24 rights issue at 315p per share to raise £331m. The board agreed a £172.1 provision in respect of the Repayment Option Plan.